Don’t get me wrong, it’s perfectly good hair, it’s in good condition, it’s long, it’s healthy, the colour (finally) is okay. It’s just … dull. And shapeless. It just kind of hangs around, getting in my way, and I spend half my time with it tied back, just to keep it out of my way. 1. For ‘Notice Me Individuals’ colour takes on a bold experimental edge with splashes of intense colour from Geranium Red to 24 Carat Gold Blonde in hidden obvious sections contrasting with a muted all over tone. 2. The ‘Soft Touch’ is where hair is coloured in pretty shades of woven strands mimicking a sun kissed effect on a darker shades as well as lighter shades. Do you change you hair with the seasons? Do you follow hair trends? And finally my hair, HALP! Next Post All for Eve Finally Launches! 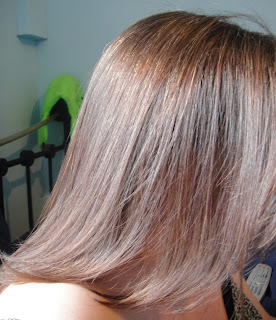 Mine is the same at the moment, long, in my way and the colour is bordering on boring… i need a hairdresser! I want more holidays and greece posts lol :)will you be zuneting again? I am so over ashen tones as a heavily foiled & base 10 natural palest blonde -base only tinted with 10 & 30vol because of the greys & whites !I just popped a semi of Goldwell's 8 Gold to warm up the revolting bleached sections that were white I popped on the 8G for 3 mins & what a difference never again with the ash .